Big Note is the largest mobile instrument repair company, serving over 400 school music programs. We repair both student-owned and school-owned instruments. You’ll love our same day, on-site service! We also offer an annual maintenance plan to keep your instrument in great shape and save you money. 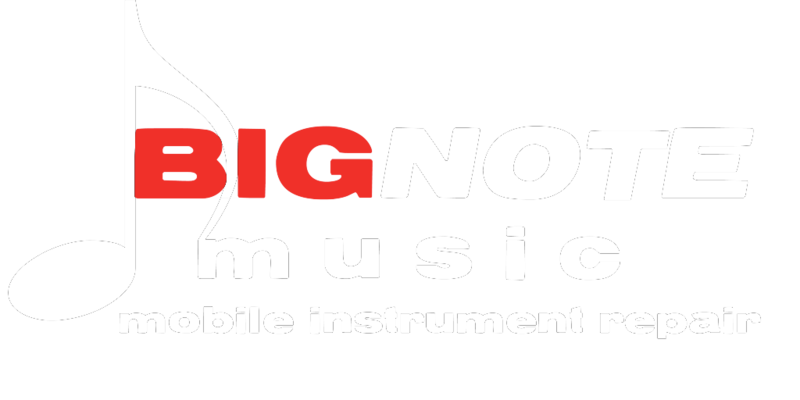 Big Note offers an innovative instrument rental and purchase program where you can “rent to own” beginner and performance level instruments. You can upgrade, exchange or return the instrument at any time. Best of all, if you decide to purchase your instrument you can save 50% on the remaining balance with no extra costs! Need common supplies to play and maintain your instrument? Looking for an upgrade mouthpiece or ligature? Shop our online store. We have a great selection of supplies featuring quality brands and competitive prices. We’ll ship directly to you, or in most cases we can deliver right to your school for added convenience. Experienced, certified technicians with fully-equipped mobile repair shops cover more than 400 schools providing unmatched convenience. Big Note Music is looking for technicians with woodwind and brass repair skills who are energetic and ready to advance their career. With our innovative rental program you can order your rental online and we'll deliver right to your home. Our program includes low monthly payments and a 50% discount off the remaining balance if you decide to purchase at any time! If I could give more stars to Big Note Music, I most certainly would. This is my first year at this particular school, and the instruments were in dire need of repair from years of neglect and inconsistent maintenance check-ups. Our technician was extremely patient, knowledgeable, and nice. Great service! And I didn’t have to take the instrument any where. Big Note does the driving. Great job!! I can always depend on Big Note to get the job done right!! I will be back!! 1) They do great work. 2) They do it for reasonable rates. 3) You get the instrument back WAY faster than if you went to your local music store or send it off with a sales rep. As a band director, I will continue using them to repair my school-owned instruments and I would recommend other band directors to do the same. Same day, on site repairs today, in Macon. Great job Devan! Adding another bus to the fleet. #bignotemusic. Typical day on the road. New System Blue sousaphones at Lowndes County HS.